>Its going to be crisp beautiful winter weekend. Get your hiking shoes on and get some fresh air! Here is a great DIY walk at Avebury Stone Circle. Sunday roast at the Red Lion ? 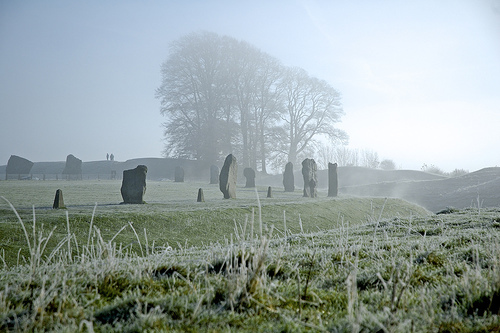 Avebury in mid-Wiltshire lies some six miles west of Marlborough, and this walk not only takes in Europe’s largest stone circle but passes Europe’s largest man-made hill, Britain’s largest burial tomb, a 5,000-year-old temple site, and follows an ancient trackway. It also provides superb views over delightful Wiltshire countryside and downland on good paths and tracks. From Avebury’s village car park alongside the recreation ground on the A4361 turn right along the road for a short distance before following a path on the left through a double gate and signed West Kennet and Longbarrow. Walk through a small enclosed area, another gate and along a path beside a very small River Kennet. To the right and ahead can be seen the unusual shape of Silbury Hill. Dating from 2,800 BC, and standing almost 140 ft high it is Europe’s largest man-made mound but after centuries of research its original purpose is still not known. >STONEHENGE has been given a £10m boost, thanks to the Heritage Lottery Fund, it has been revealed. >Click on the link below to view the Stonehenge video! English Heritage’s plans are the culmination of months of working closely with a range of stakeholders and engaging with local residents. Forget the new Visitor Centre (who knows if it will be like that or built there or built at all this side of the Olympics in Rio de Janeiro) but look at the rest! It certainly looks excellent. We do have a few concerns – the land train for one. It looks a lot better and less intrusive than we feared it might – or still could but it would be nice to know it will look like that and there’s no question of it doing other than going from A to B and back and that having it buzzing all over the WHS won’t be considered. We also wonder if this seductive vision of no fences, no ropes and apparently full access to the stones, that we’d all like, can actually prove viable? What about erosion? And security? How are they going to be dealt with? But most of all we wonder about the fact the government has said all the good stuff like closing part of the road can’t happen unless the new Visitor Centre gets built! The latter doesn’t seem exactly a definite which means the good stuff might not happen either. We’re certainly not alone in seeing the road closure as terribly important in it’s own right. Rescue and the Stonehenge Alliance for two! Surely, after all these years, a way can be found to treat the closure and grassing over of the road adjacent to the stones as THE UK heritage priority? Here are our previous “Achievable Stonehenge” images which are just like the English Heritage video ones! 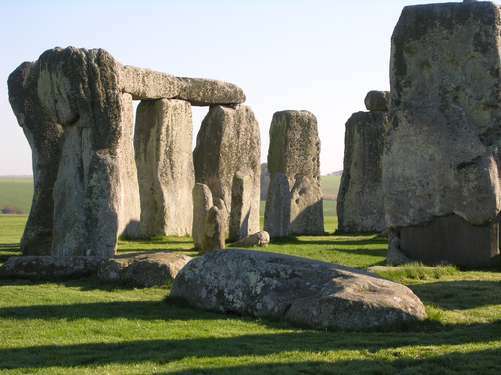 Dates: May 6–8, 2011Erected between 3000 and 1600 BC, Stonehenge is the most eloquent testimony to the once dominant civilisations of the Stone and Bronze Ages. And what better way to unravel the mysteries of Stonehenge’s innermost circle than on a private tour in the company of an expert from English Heritage? Working in partnership with English Heritage, ACE has developed an exclusive portfolio of historical tours and cruises in Great Britain and Europe. Each tour offers a unique blend of cultural sight-seeing and explanatory talks, all under the guidance of an expert and experienced course director. As well as inspecting Stonehenge’s antique trilithons at close hand, our early morning visit will reveal how recent excavations have radically altered interpretations about this most monumental of temples. The ceremonial landscape that lies around Stonehenge is richly suggestive of Wessex’s ancient patrimony: we will explore the Great Cursus, the henges of Durrington Wall and Woodhenge, and a handful of the great Bronze Age barrows that bestride the surrounding hills. The majestic façade of West Kennet chambered long barrow, framed by two enormous quarry ditches, was constructed around 3650 BC – some four centuries before the first stones were raised at Stonehenge. Immediately to the west lies Avebury, the world’s largest pre-historic stone circle, further graphic confirmation of the outstanding engineering skills of our megalithic ancestors. We stay in Salisbury at the 17th century three-star White Hart Hotel overlooking the famous mediaeval cathedral. Day 1 Course assembles 1600 for two nights at Mercure White Hart Hotel, Salisbury. Evening: sherry reception followed by course introduction. Day 2 Early morning privileged visit to Stonehenge (inner circle) followed by Neolithic henge monuments of Durrington Walls and Woodhenge, Stonehenge Cursus, King Barrows (unexplored Bronze Age barrows), Stonehenge Avenue (ceremonial approach). Evening talk. Day 3 Avebury Henge (huge earthwork enclosing three stone circles), Silbury Hill (largest man-made mound in Europe), West Kennet long barrow (early Neolithic chambered tomb). Course disperses 1700 at hotel. Cost of £490 includes: accommodation based on sharing a twin or double bedded room, drinks reception, breakfast, two packed lunches & two dinners, special entry to Stonehenge, excursions & admissions (except English Heritage properties for non-members). Why would eclipses have been so important to the ancient people of Stonehenge? Perhaps they considered the darkening of the Sun or the Moon a fearsome event — a celestial omen of doom or disaster. Many cultures have interpreted eclipses this way. But the sophistication of the astronomy of Stonehenge suggests that the builders had something different in mind. Their understanding of the solar and lunar cycles must have led to a high regard for the cosmic order. For most parts of the year, the sunrise can’t even be seen from the center of the monument. But on the longest day of the year, the June 21st summer solstice, the rising sun appears behind the Heel Stone, creating the illusion that it is balancing on the stone. The Heel Stone sits along the Avenue, that extends from the northeast corner of the main monument. The rising sun creeps up the length of the rock, creating a shadow that extends deep into the heart of five pairs of stone trilithons – two pillar stones with one laid across the top in the shape of a horseshoe that opens up towards the rising sun. Just as the Sun clears the horizon, it appears to hover momentarily on the tip of the Heel Stone. A few days later, on midsummer’s day, the sun will appear once again, but this time, it will begin to move to the right of the heel stone. The countdown to doomsday has begun. The same phenomenon happens again during the winter solstice, only it’s in the opposite direction and at sunset. In just 2 years (2012) due to the wobble of the earth on its axis and certain other important alignments, the giant Heelstone will no longer cast its shadow within the circle of stones. It will mean that time has run out. 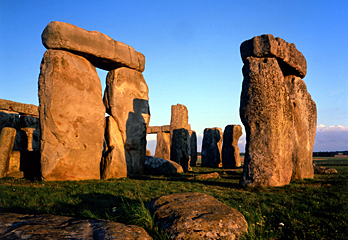 December 21, 2012 represents the date of the end of the original use of Stonehenge as a timing device. The exact date of the last Winter solstice that will reflect light into stonehenge. One more piece to the doomsday puzzle has been presented with scientific based evidence. Whether the world is doomed to come to an end or not, I do not have the answer, but one thing is for certain, something is going to happen. http://rcm.amazon.com/e/cm?t=stonehengetours-21&o=1&p=8&l=bpl&asins=B0042FUHRK&fc1=000000&IS2=1&lt1=_blank&m=amazon&lc1=0000FF&bc1=000000&bg1=FFFFFF&f=ifrThe Stonehenge connection to the Maya Civilization and Sumerians is too strong to ignore. Stonehenge is a sophisticated astronomical observatory, which can predict with pinpoint accuracy, the alignments of the stars as well as solar and lunar eclipses. The recent archeological findings of Sumerian numerals carved into the stones and Radio Carbon dated to 3100 BC are a definitive link to both the Sumerians as well as the Mayans. The term “Nibiru” comes from the Sumerian cuneiform tablets and writings dating 5,000 years old. The term Nibiru means “Planet of the crossing”, and it’s cuneiform sign was often a cross, or various winged disc. Some authors believe that the observations of ancient astronomers provide proof that Nibiru is an actual planet or brown dwarf in our solar system. These claims are for the most part dismissed as fringe science or pseudoscience by the mainstream scientific communities of archaeology and astronomy. According to theories of Sumerian cosmology, Nibiru was the twelfth member in the solar system family of planets (which includes 10 planets, the Sun, and the Moon). It was the home of a technologically advanced human-like alien race, the Anunnaki of Sumerian myth who survived and later came to Earth, subsequently genetically engineered our species. Their travelling to earth was the result of their failing atmosphere. 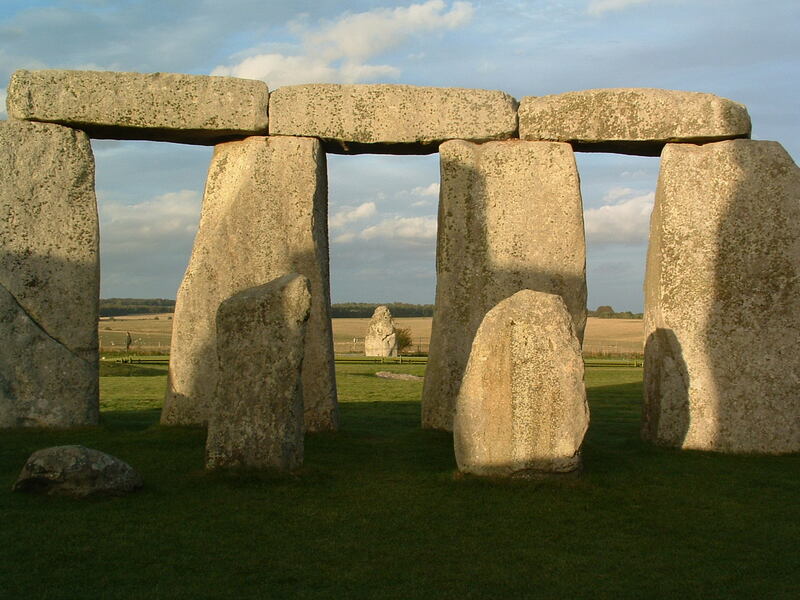 >Stonehenge Inner Circle Tours. The best way to experience Stonehenge! Stonehenge Access Tours – A unique opportunity! Book an exclusive private viewing of Stonehenge. Stepping inside the “inner circle of stones” is a once-in-a-lifetime opportunity. Tickets are limited and each group consists of 26 (morning) or 40 (afternoon) with your own guide. With a choice of sunrise or sunset viewings, and private access to the inner circle of stones, your visit to Stonehenge is sure to be a memory you’ll cherish. As an added bonus, you’ll avoid the huge crowds. Most visitors to Stonehenge are not allowed direct access to the stones. On this special day trip from London, you’ll be invited to enter the stone circle itself, and stand beside the mysterious rocks towering above you. Your guide will unlock the secrets of this ancient UNESCO World Heritage Listed monument. Enjoy the peace, away from the crowds, as you experience Stonehenge at its atmospheric best at sunrise or sunset. Availability is strictly limited so book early, as private viewings regularly sell out and operate on selected days in 2010/2011 only. Lacock is one of England’s most picturesque villages, dating back to the Saxon era. The village has provided the setting for many movies and television dramas, including Jane Austen’s Pride and Prejudice and Harry Potter and the Philosopher’s Stone. Take a walk before enjoying an early evening meal (or breakfast for sunrise departures) in the George, a vintage English pub built in 1361. Note, meals are at your own expense.